PERFECT FOR ENTERTAINMENT! 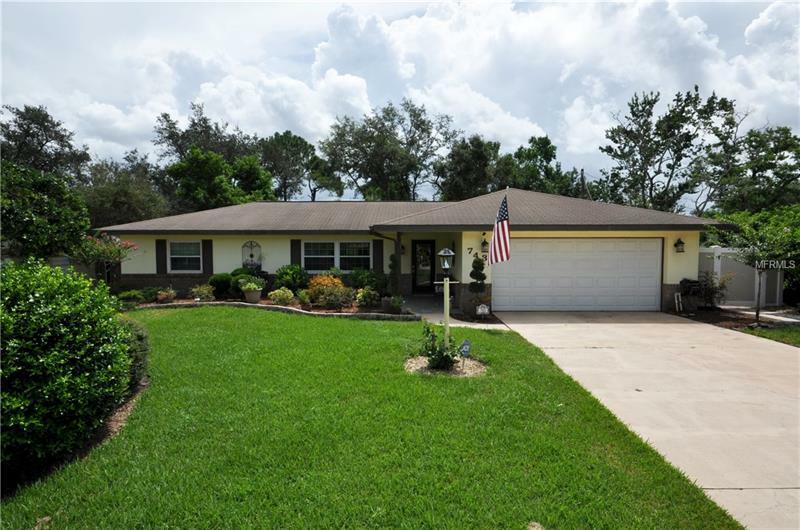 This 3 bedroom 2 bathroom home has all of the updates that you will want. A beautiful glass door will welcome you to your new home. As you enter this warm and inviting home you will notice the beautiful wood floors and built in book shelves. Kitchen features granite counter tops, all stainless steel appliances, and ceramic tile flooring. The dining room features a gorgeous chandelier. Home has updated bathrooms, crown molding throughout, double pane energy efficient windows, 3 closets and a sink in the insulated garage. The backyard boasts a fountain flowing into a rock and stone display, a play house in the backyard, trellis, a spacious Florida room for entertaining as well as a vinyl fence, and 2 sheds. According to the seller roof is 10 years old, AC is 4 years old. There is so much to mention in this home that is setup to entertain your family and friends. Come take a look at this home and see for yourself!